Here it comes again – the Scottish Open returns to Castle Stuart between the 7th and 10thJuly 2016. 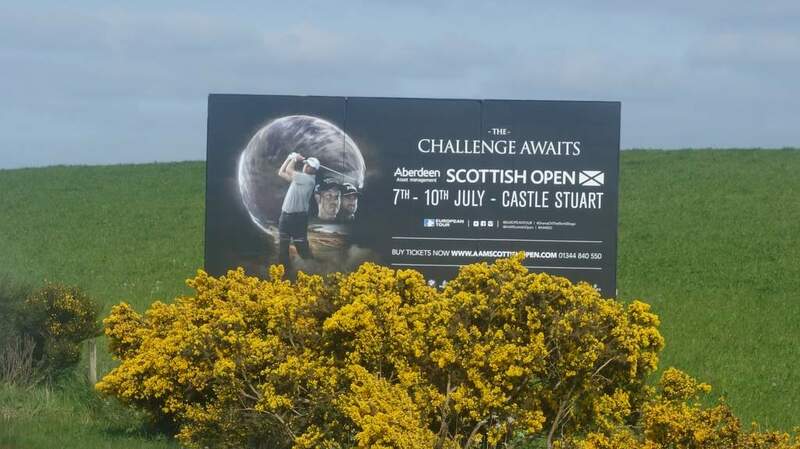 Castle Stuart has hit the headlines since becoming one of the most sought after new courses in the North of Scotland. 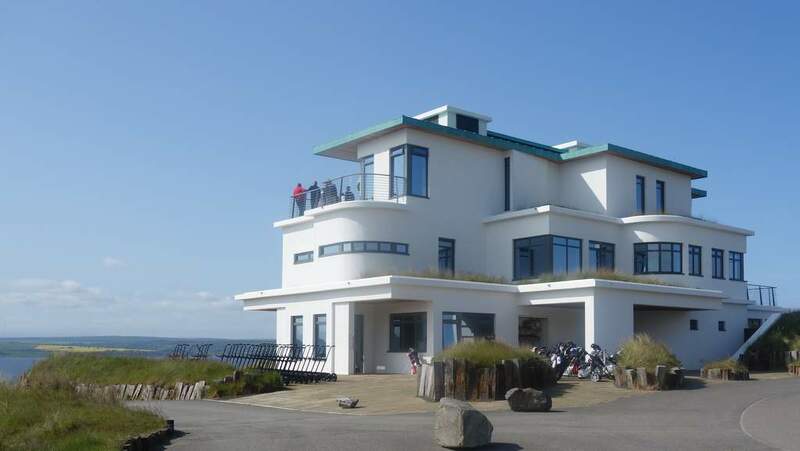 Whilst many golfers stick to well known big hitting courses such as Nairn and Royal Dornoch, more and more a trend has been noticed that the smaller ‘hidden gems’ are being visited. It has to be said that the quality of golf courses in Scotland is extremely high and therefore it comes as no surprise that some courses in more remote areas, or competing against a big course, have not had the attention they deserve in the past. This blog will highlight favourite courses in striking distance of Castle Stuart, which sit patiently waiting for the golfer's opening tee shot on the first hole and their sudden realization that this is what the game of golf is all about. 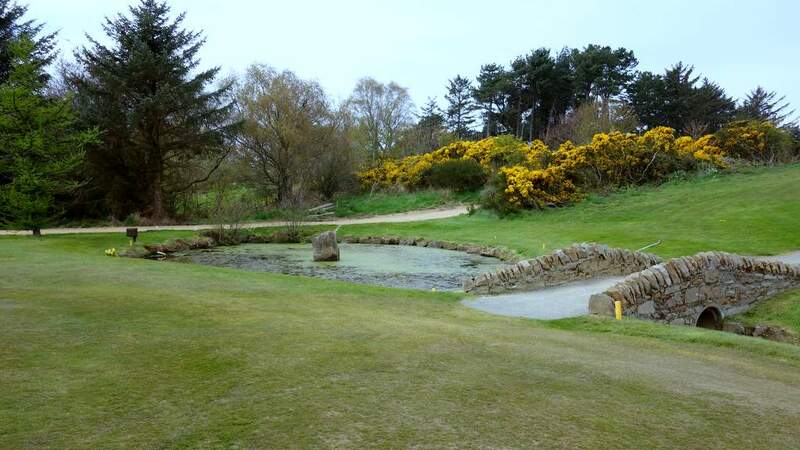 Now as a wee special visit, try Hopeman – it’s not long, but it is tight and linksy with a signature 12th par three short hole. The green is just about on the beach and one drives from the top of the escarpment. 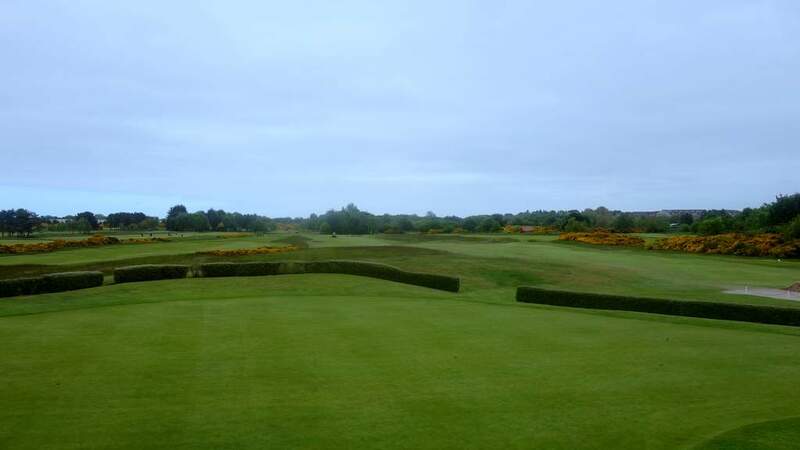 The first nine is superb and the second a newer addition in 1985 compares favourably as so many other courses in Scotland that were created first as nine holers. Thanks to ‘Trevor” who immediately abandoned his job in the clubhouse to drive out to the spectacular 12th to help with pictures. What a welcome one gets at this lovely course. Then turning towards the coast the keen golfer will find Moray – not just one but two courses. Moray Old and Moray New. Now don’t think ‘new’ course is brand new. Previously a relief 7 hole course, it became an eighteen holer in 1979 and a very worthy sister to the more established course built in 1889. 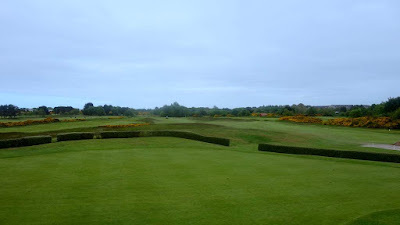 The writer has always felt the 18thhole on the old course culminating in front of the wonderful clubhouse and surrounded by Scottish stone buildings has a look of the Old Course in St. Andrews but actually this hole is truly fantastic with the last shot rising up to a plateau green to the applause of the terraced watchers. For those weary with tough round on the Links courses and perhaps a day of opening the shoulders and getting the confidence back – turn inland and try Forres. A parkland course with many superb holes. The opening hole has the golfer elevated way above the fairway so any scuffed ball tends to look in flight. It’s undulating and the closing holes are very special with tricky tee shots to secure placements for the important shot to green. Lovely views and spectacular trees enhance this inland course and make it a very enjoyable day. Duly fired up and with the knowledge that you can play well on parkland courses then try out Elgin just another ten miles East on the A96. 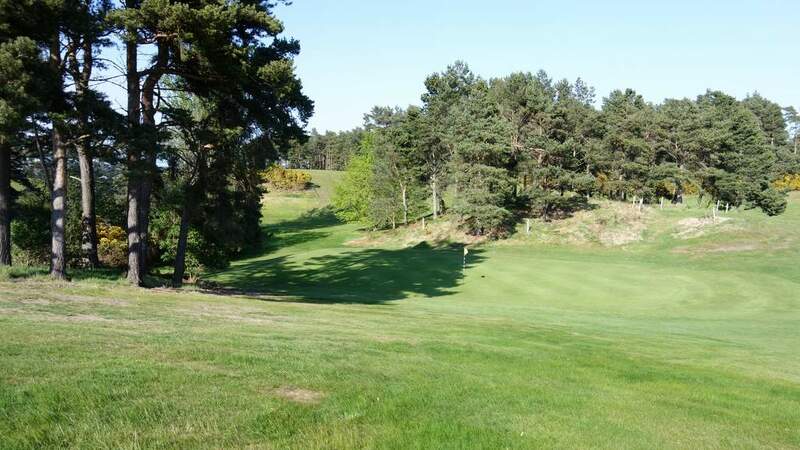 Heathland and Parkland make this a hybrid course but again a course that allows the ‘opening of the shoulders’ and another confidence boost. Heading south now and towards the lovely and picturesque course of Grantown upon Spey. This course offers itself to the writer as if in three sections. The first section is to give confidence with relatively easy opening holes but beware – a cross of the lane and into the forest and a spectacular signature par 4 hole – downhill all the way surrounded by the silver birches and the soft sound of woodland wildlife helps to ensure an inspired drive as the first part of a par or even a birdie! Climbing up towards the end of the forest holes and then out again into rolling and undulating fairways the last holes whilst challenging are different but nonetheless enjoyable. Interesting to note around the turn before back to the clubhouse an old outdoor curling rink can be seen. Fair warning that this Highland course can be challenged with the climate and the writer did once finish a round here in a blizzard. Dropping a little further to the south and we find Boat of Garten a strange name but created for the little ferry that used to ply across the Loch here. The first hole at Boat sometimes greets the golfer with a little disappointment but climb to the second and expect to be wowed! 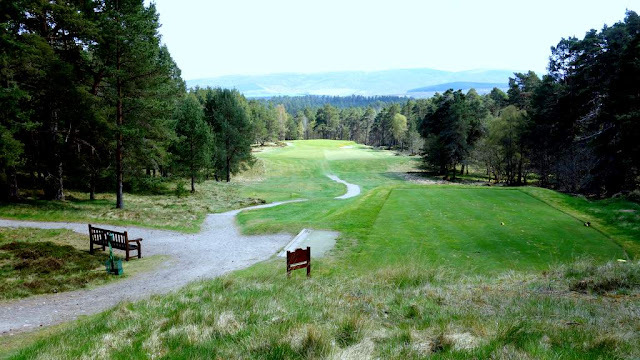 In addition to the spectacular scenery, the lovely undulating tight fairways and testing greens there is by way of reward should you be playing badly, the possibility of seeing the steam rain puff past en route from Aveiemore to Boat of Garten. One of the author’s most favourite courses with a nine out to turn at Chanory Point and a possibility to see the dolphins at their favourite stomping ground has to be something to write home about. A wee par three on the turn will test the golfer with club selection and can vary from wedge to some sort of wood depending upon the wind. Double greens and sharing fairways – its golf as it was played years ago and of course it’s James Braid course designer again. One and a half hours from Castle Stuart lies a course, which will take the golfer back to the true meaning of a Links course. Brora is 20 minutes past Dornoch along the A9 but so well worth those extra minutes travel. Whilst lacking trees it opens up greens from just about anywhere and follows the usual nine out and nine back. Another James Braid course as with so many in this area but it is different and demanding and at the same time quaint and quirky. Yes this is the place where the sheep are kept away brilliantly by the small electric fence around the greens but you can sometimes find the odd ‘coo’ lying contentedly in a bunker. 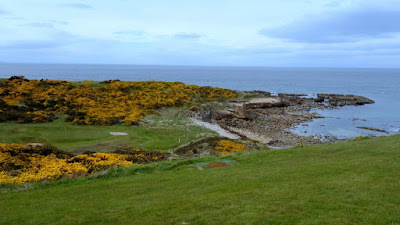 It is hard to select from the plethora of courses available to the golfer in the North of Scotland and these are just a few which have been played and enjoyed immensely by this blogger.